Standing its position as one of the largest and major cities of Japan, Nagoya is the center of government, economics, culture, and transportation of middle Japan. 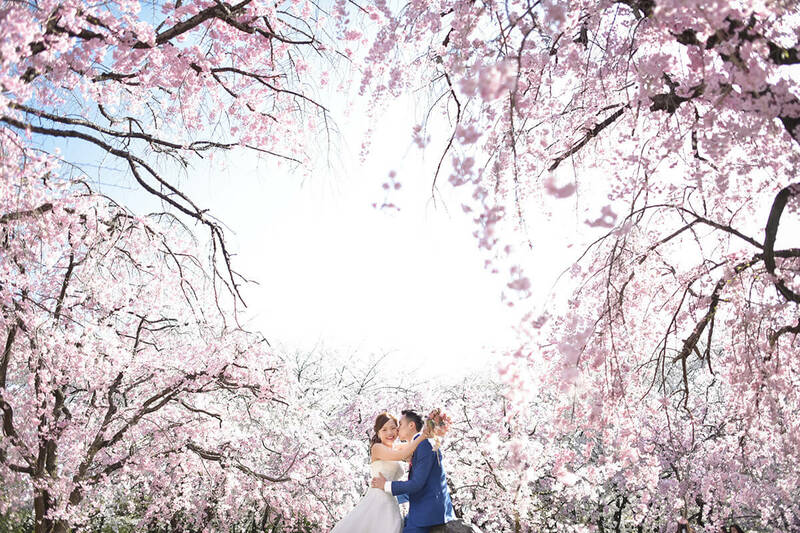 Visitors can find various places to take wedding photos in this city of many history and tradition.You can't miss Nagoya castle, the symbol of Nagoya, famous amongst all people of Japan. The Shisei Museum, designated as important cultural property, and Osu Kannon, filled with historic atmosphere, are locations where you can enjoy beautiful scenery regardless of which season you visit. 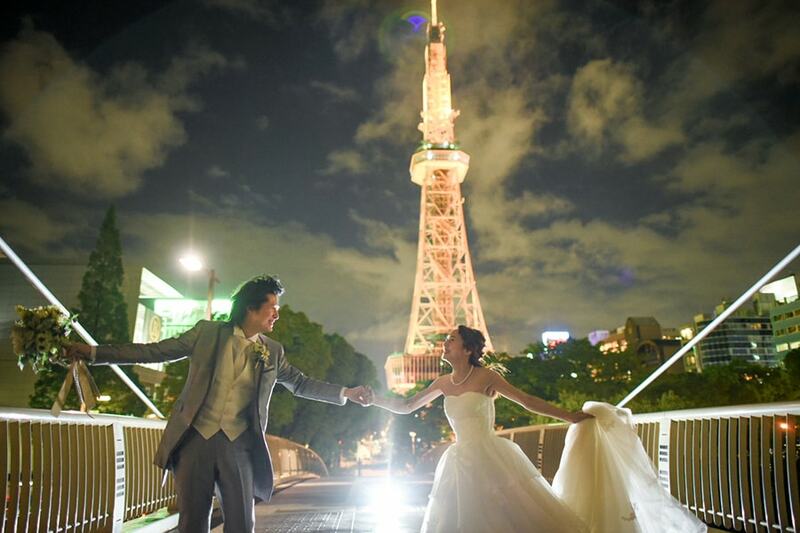 Have your everlasting wedding photos taken in Nagoya, as you can expect an one and only experience in this city perfect for wedding activities. The swans in the pond, birds in the forest, and the bright sunshine will help you enjoy a peaceful time shooting wedding photos. A beautiful garden created by the Tokugawa family. Enjoy the plants and flowers that would warmly welcome you any season of the year. Shisei Museum is a beautiful western styled architecture that stands as an important cultural property. The neo-baroque building provides many chances for great wedding photographs. Rokkaen was built by Josiah Conder, an English architect who built the foundation of modern Japanese architecture. Rinku Beach is the largest man-made beach in this area. Enjoy photos alongside the sea, as well as dramatic photos available during sunset. Touzan-sou is an old Japanese styled villa surrounded by beautiful gardens. 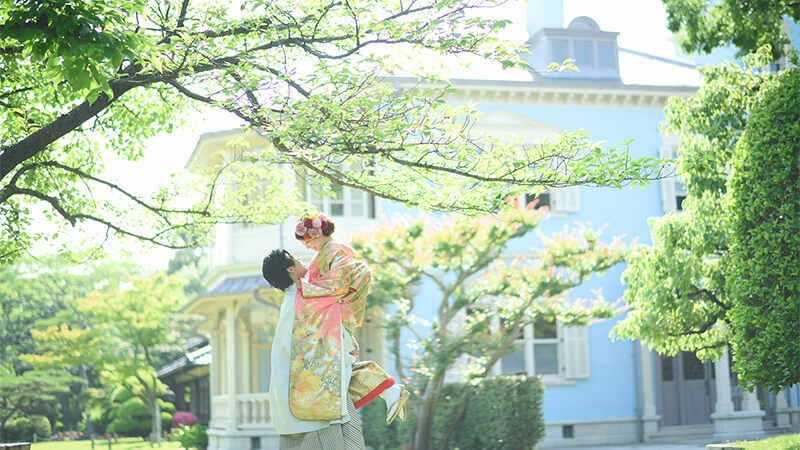 Inside, there are five rooms with Japanese traditional architecture that are open for photo shoots. Nittai-ji is meant for all Buddhists to come, as it is the only non-sectarian Buddhist temple in Japan. The tea ceremony room named "Souketsuan" is known as an important cultural property. Located in a residential area, you can see a beautiful panoramic view of Nagoya from Takinomizu Park. 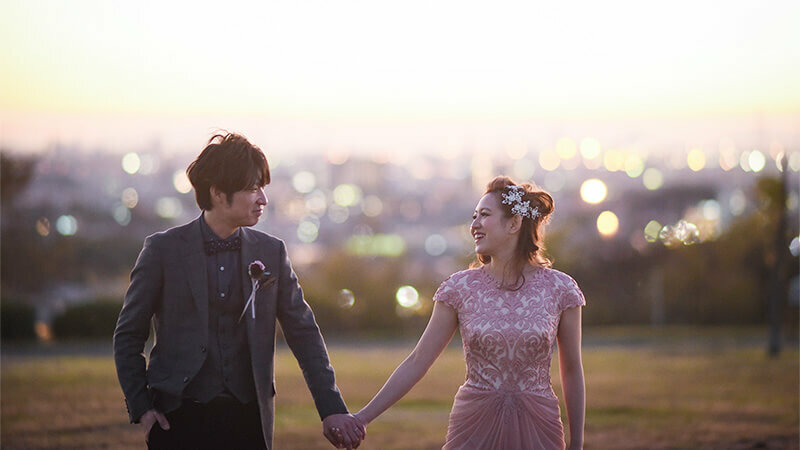 It is also a great location to take photos with the sunset. Flarie is a beautiful garden of vast land and rich nature. Guests will feel as if they are visiting a resort oasis location. 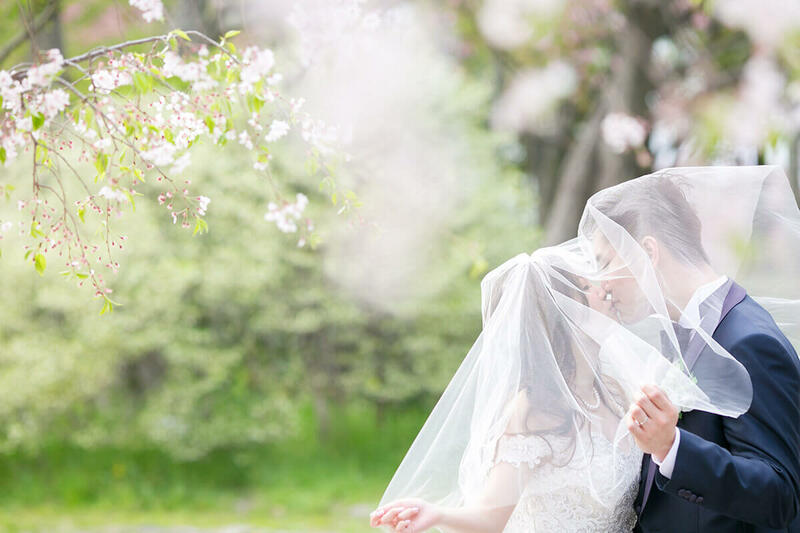 There is a large lawn with water streams in the center of Meijo Park, and various spots surrounding them are all great locations for shooting wedding photos all season. Moricoro Park is the largest theme park in Nagoya, built on the site of the World Exposition in 2005. Find the famous golden dolphin on the roof of Nagoya Castle, known as a mythical creature in Japan. Private photo sessions can also be done by reserving the historical tea ceremony room. 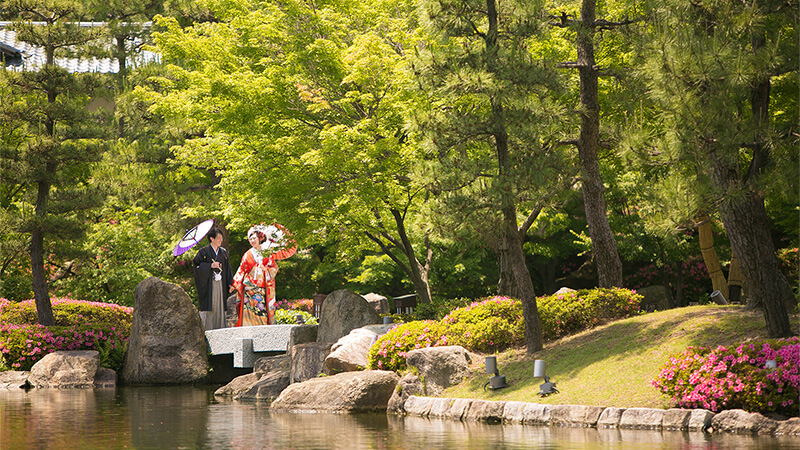 Shiratori Garden was made under the concept of "stories of water". 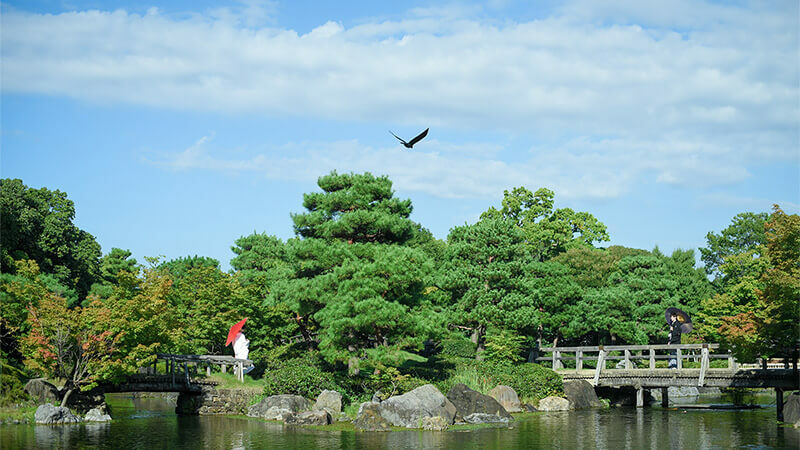 It is also the largest Japanese styled garden that you would be able to find in Nagoya, available for you to enjoy any season. The area around Osu Kannon is always filled with energy of the tourists of all ages. The gorgeous temple of vivid colors should draw your eyes instantly.